All sorts of things have been happening this week to get to the finish line of the One Room Challenge next Thursday! This is week 5 of the 6 week design makeover challenge and you can catch up on Week 1, Week 2, and Weeks 3/4 combined. Last week I was getting a little concerned that I was going to be SO far behind and only have plans and dreams in progress to show you at the final reveal……fortunately, I have a beehive of activity going on around here to bring this puppy HOME! 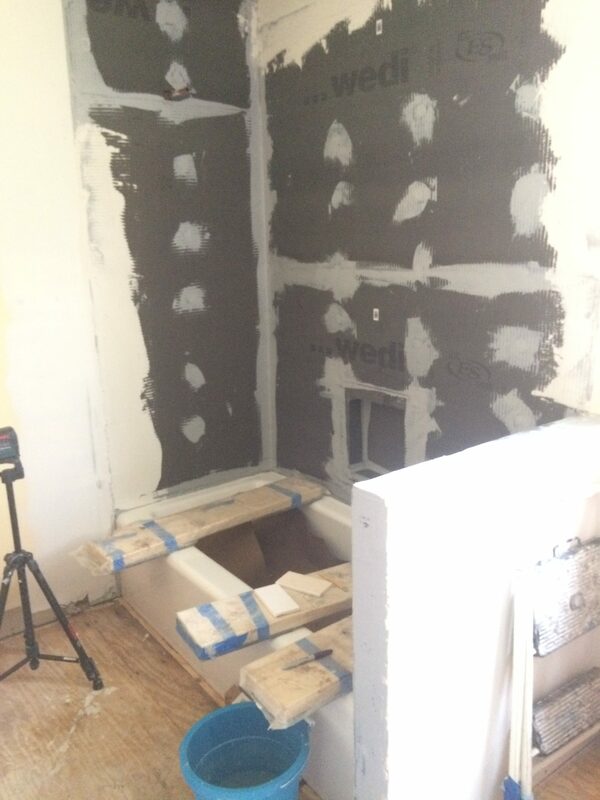 If you have just now found my story about the renovation of my family bath for the One Room Challenge and are thinking “What is going on here?! ?” the One Room Challenge is the brain child of Linda from Calling it Home where designers and DIY’ers take up the challenge to finish a room or space in 6 very short weeks….its sounds simple, right? Let me tell you after 4 of these sessions as a Guest Participant it is decidedly not simple! 6 weeks seems like a perfectly fine amount of time until you are in the middle of week 4 and realize that you really only have about 10 more days to finish your plan! Panic and multiple glasses of wine are then required!! I love the energy it brings to get something done, but when you are telling the whole world what you are doing, it gets a little daunting to have something that you want to share with everyone! I also asked for some votes on the wallpaper choices AND there was clear winner….will you believe me when I tell you it was my favorite all along? I appreciate everyone who weighed in as I wanted confirmation that it wasn’t too “fancy” for my modest bath. 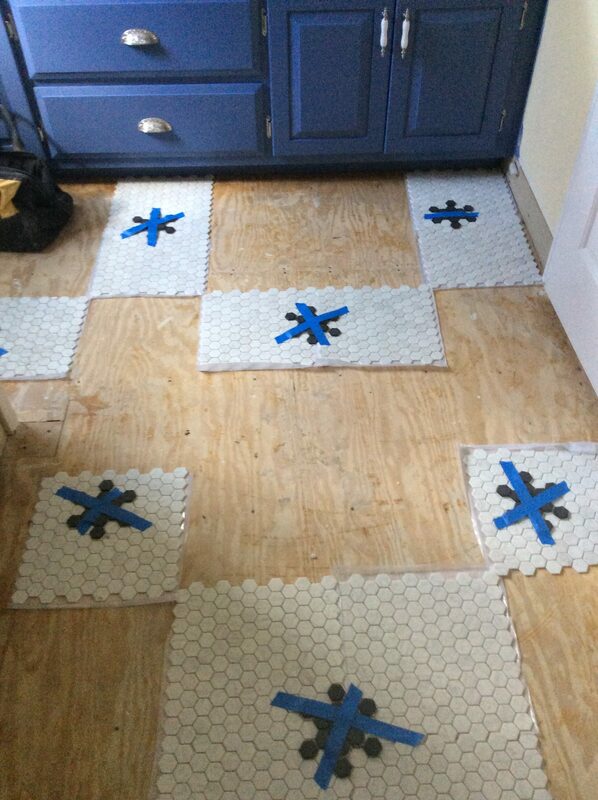 So, that’s ordered and scheduled for install either Friday or Monday, if the tile takes longer than expected. After that, as amazing as it sounds, I only have to install the new fixtures and clean and photograph! I am not going to get the glass panel installed in time, but I am going to give myself a pass on that deadline. The order has been placed and I am excited to put that finishing touch on in 3 or 4 weeks from now. I am going to be photographing the (tiny) room myself this time and using my friend Linda Holt’s super iPhone photo tips to complete that part of the challenge for the Reveal Day. Let’s hope her super skills rub off a little on me! I hope you will come back next week and see the “After” where I will reveal my “new” bath and the wallpaper that won the vote! 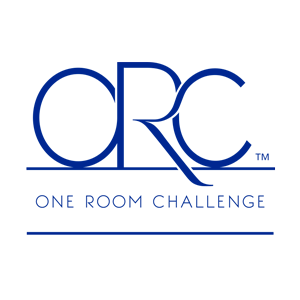 Be sure and follow along at www.Oneroomchallenge.com with the 20 brave people who are the Featured Designers, and the rest of the Guest Designers from all over the world, on Thursdays! It is great inspiration and design fun! We even have a fabulous sponsor in House Beautiful, along with wonderful design and renovation partners such as Metrie Moldings, LampsPlus and Minted, so be sure to check them out for your projects!! I love your tile and your cabinet choice!!! So very cool! Thanks Jewel! those were the most fun things to choose…but so many pretty blues! I was hard to settle on one! Thanks Kristin! a bathroom is small but deceptive in how much time it takes! If nothing less, only one person can work at a time, lol! Good luck on your project, can wait to see all the reveals next week! Meredith this is looking amazing! Call me if you need any additional pointers for taking photos. Looks great to me though what you have done so far. thanks Linda, I will certainly call on you to make them look fantastic! challenge of a small room and getting the best angles! 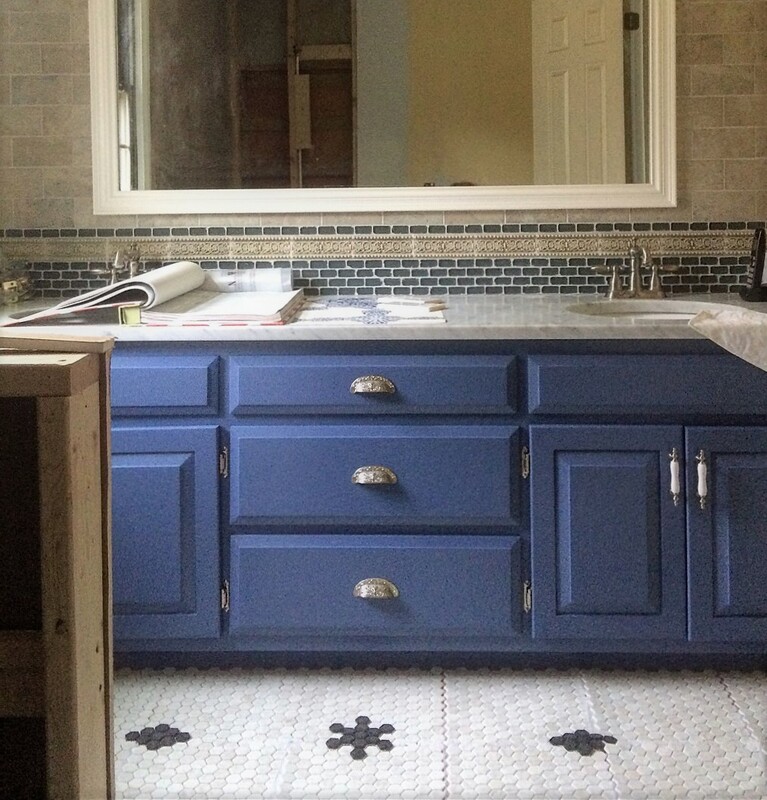 I love the blue cabinets and the statement it makes plus how intriguing (that’s a GOOD thing) the blue on the tiles looks – that design. Thanks for following along, Sue! You know how long I have wanted to re-do this bathroom, and to finally get it going is making me so happy! One of the elements that has stood the test of time through all my design changes is that floor…I have dreamed of how a classic hex floor would look here- and it is living up to all my expectations! Glad you like the pattern!